Bolivia is a country of vibrant culture and stunning natural beauty. Perhaps Bolivia’s most precious gem is their otherworldly Salt Flats, also known as Salar de Uyuni. Discover the allure of the salt flats on your private Uyuni Salt Flats 3 day tour, crafted for those who want to get off the beaten path to explore in a comfortable and unforgettable way. 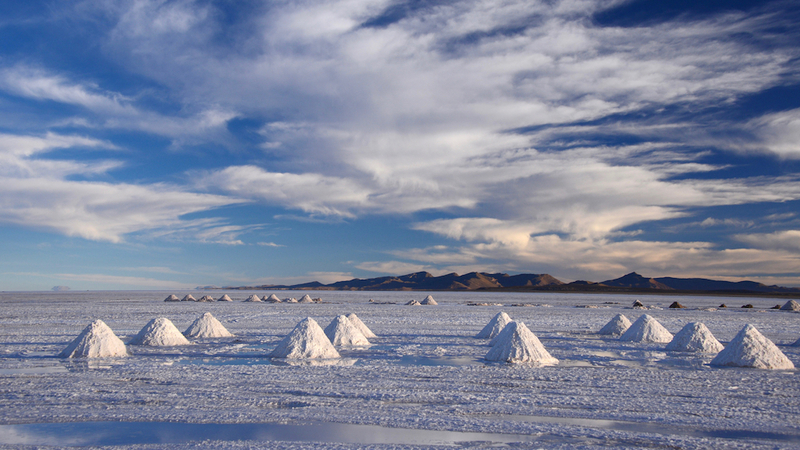 On this Private Uyuni Salt Flats 3 Day Tour enjoy stunning panoramic views of world's largest salt flat. It has been deemed the place where heaven meets earth and for good reason. During the rainy season, the salt flat becomes a massive reflective mirror where the separation of ground and sky does not exist. Bask in the sublime starry sky during your night tour of Salar de Uyuni. While sitting at an altitude of 3,600 meters it will feel as though you are floating through the galaxy. Marvel at the captivating Ollague volcano. Witness vibrant lakes at Eduardo Avaroa Reserve. Behold rare and graceful flamingos as they elegantly navigate the striking landscape. Experience the magical Salt Flats while traveling in comfort in your private vehicle. Additionally, you will sleep in comfort and luxury at the best accommodations in the area. 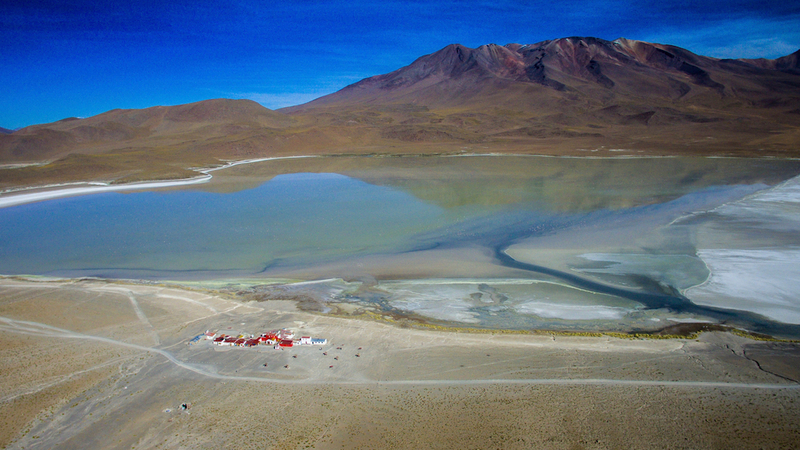 *Click through to “Tour Plan” to see the full itinerary for the 3 Day Bolivian Salt Flat tour. 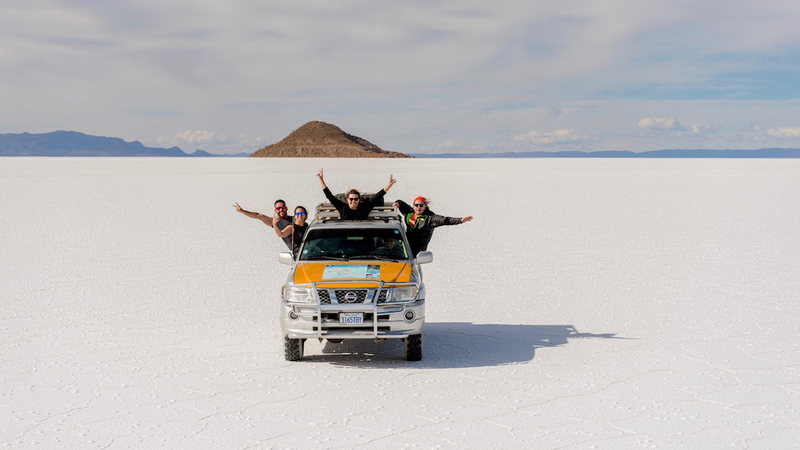 Day 1 | Uyuni: Your private Uyuni Salt Flats 3 day tour begins as we venture towards the Uyuni Salt Flats by private vehicle. The first stop is the Train Cemetery, home to some of the oldest locomotive trains. Travel on to Colchani village where you will learn about salt processing before heading to the Salt Flats. Experience the Salar de Uyuni (salt flats) in all its glory during the day, at sunset, and in the twilight below the starry sky. 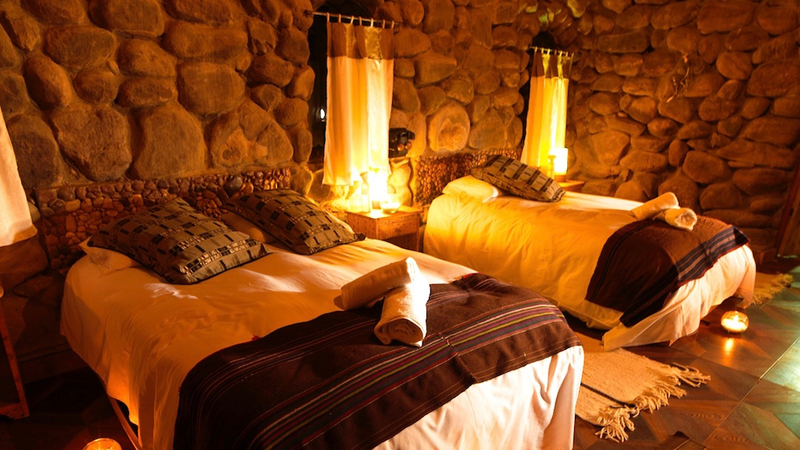 You will spend a comfortable night at Ecolodge Tambo Coquesa. 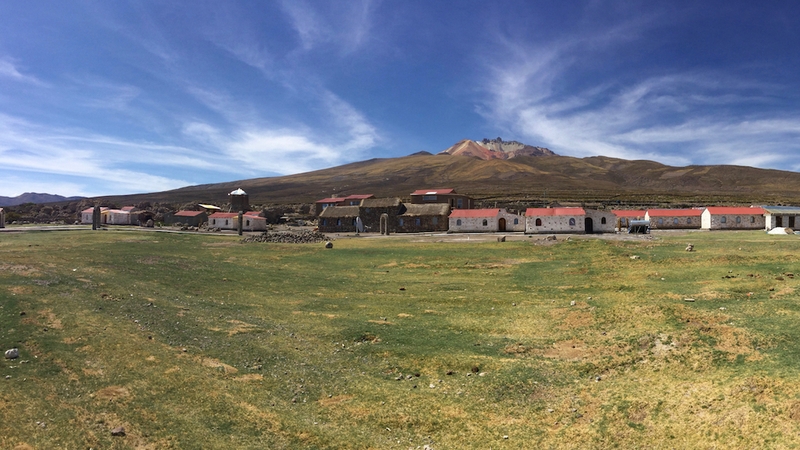 It is a beautiful hotel with immaculate views of both the salt flats and the Tunupa volcano. 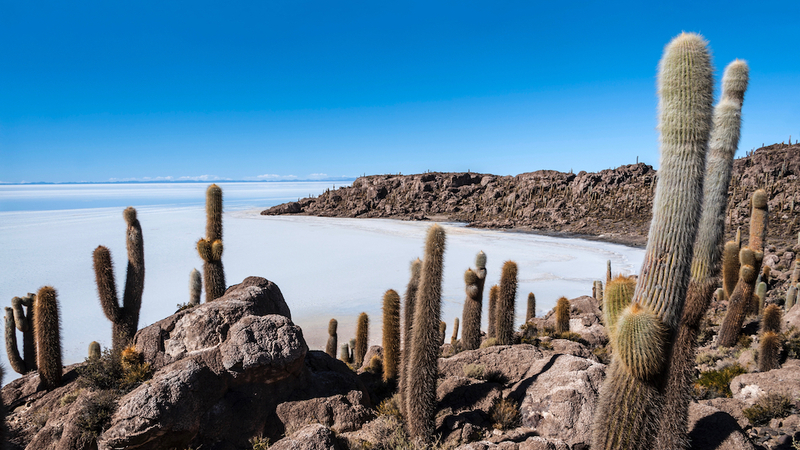 Day 2 | Uyuni: Depart from the hotel and head into the heart of the Salt Flats for a stop at the iconic Incahuasi Island. It is an island filled with giant cacti that provide 360-degree views. 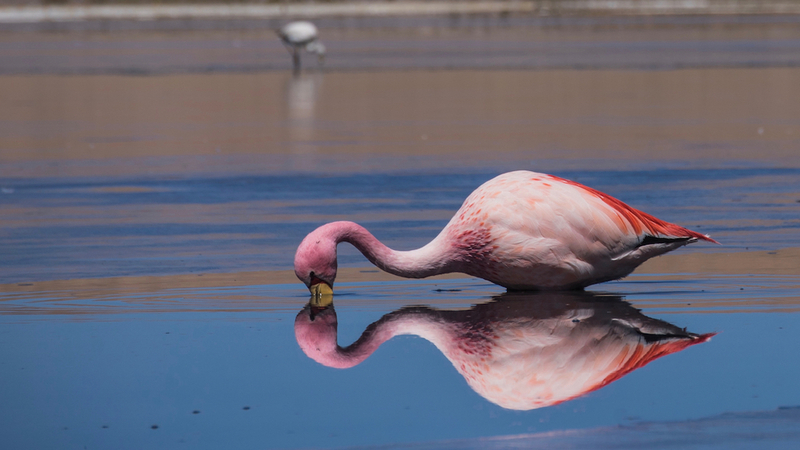 Enjoy Lake Cañapa, a pristine saline lake speckled with vibrant flamingos. 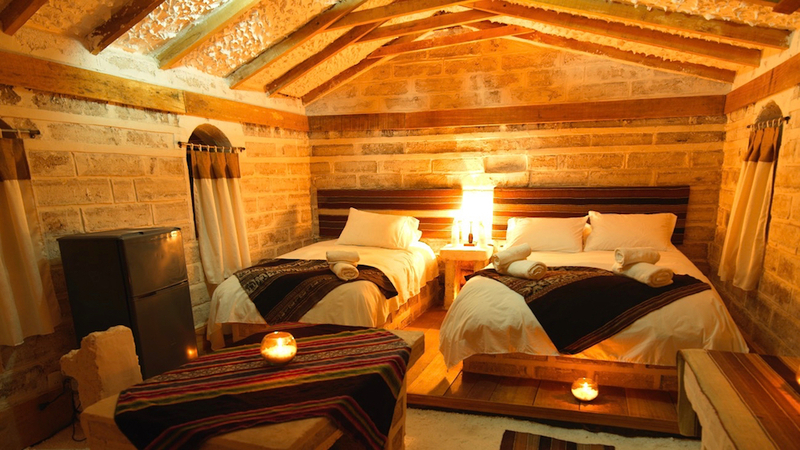 Next, we will head to your nightly accommodation at Los Flamencos Eco-hotel, conveniently located on Lake Hedionda. You will be able to observe three rare types of flamingos from your window. 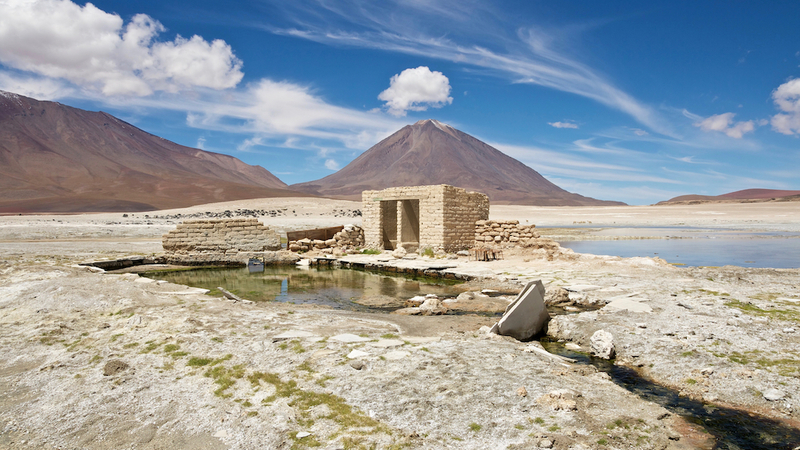 Day 3 | Uyuni: Rise early to explore the Sioli Desert and Eduardo Avaroa Reserve. 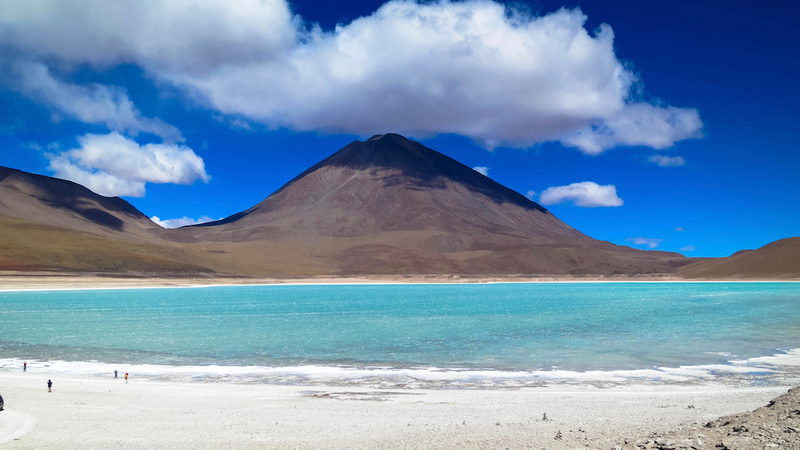 Today’s highlights include the vibrant “Laguna Colorada”, the dazzling Dali desert, bubbling geysers, and magical hot springs. 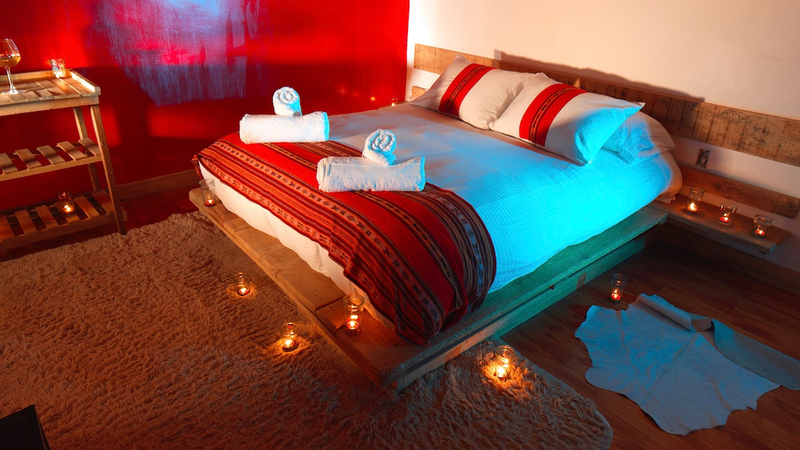 You will return back to Uyuni in the evening to conclude your private Uyuni Salt Flats 3 Day Tour. 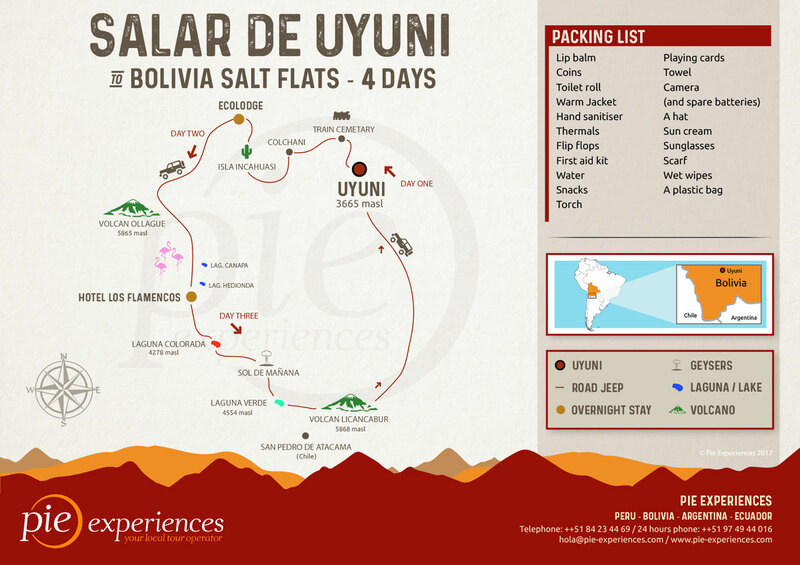 For more information on the Bolivia salt flats, red our Uyuni Salt Flats Travel Guide. 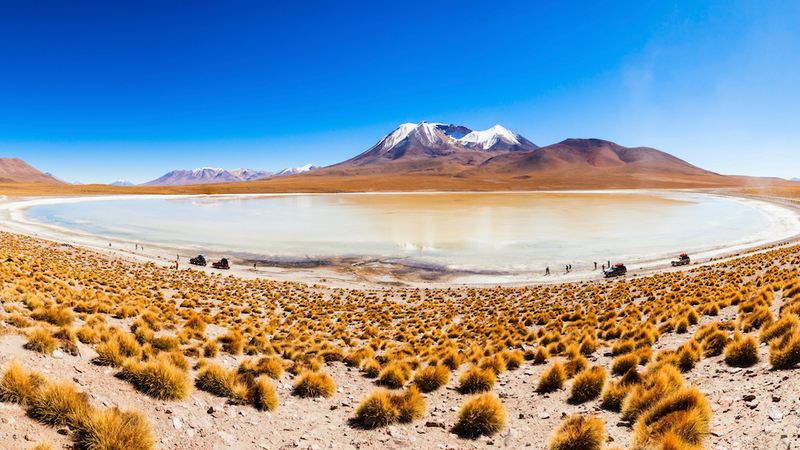 You can also read our blog post 10 Reasons to Visit Bolivia. DAY ONE : UYUNI – SALT FLAT - ECOLODGE TAMBO COQUESA. Your adventure begins with a morning pick up from Uyuni. The first stop of the tour is the Train Cemetery where you will explore some of the oldest locomotive trains against a calm desert backdrop. Next, we will continue the journey to the village of Colchani, an indigenous community, where you have the opportunity to witness the processing of salt (drying, grinding and packaging) and purchase artisanal salt-made crafts. 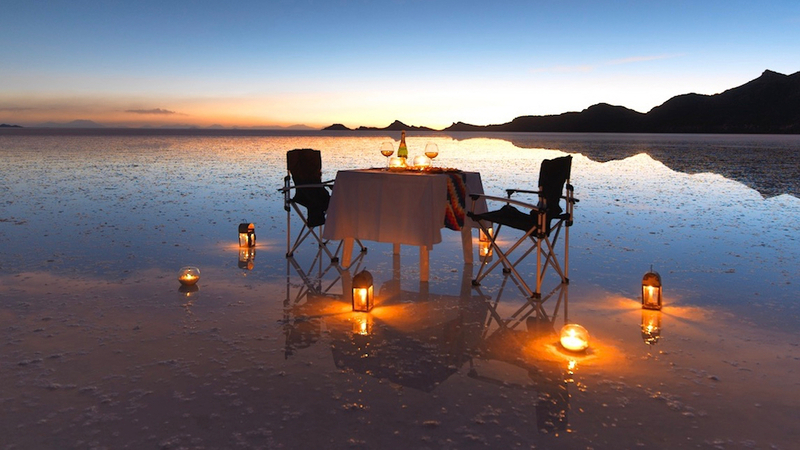 From here, you can experience the world’s largest salt flat, Salar de Uyuni, in all its glory. You will observe landscapes typical of the “white desert” such as the magnificent salt pyramids and the subterranean rivers flowing beneath the salt flat called “ojos de sal” or “eyes of the salt”. There will be many opportunities to take awe-inspiring pictures of this natural wonder. 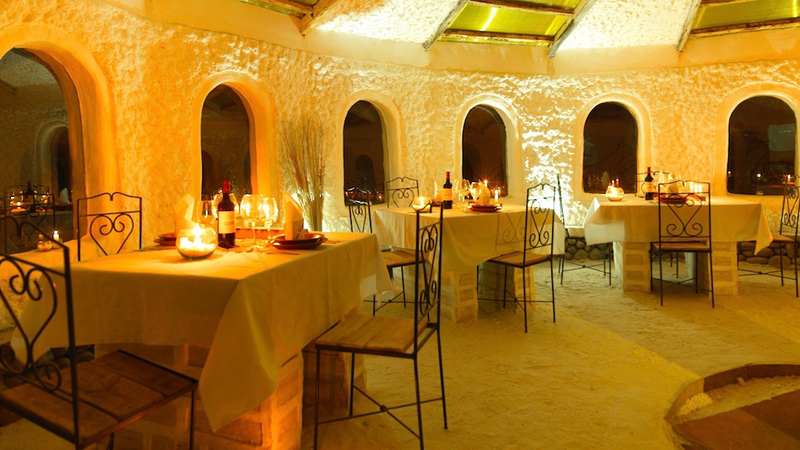 Additionally, we will be sure to stop by Uyuni’s first salt hotel, now converted into a museum. After enjoying a scenic picnic lunch taking in the world’s largest salt flat, we will stop by an island of giant millenary cacti called Sajchilla Island where you will be able to explore before heading to the Lodge. 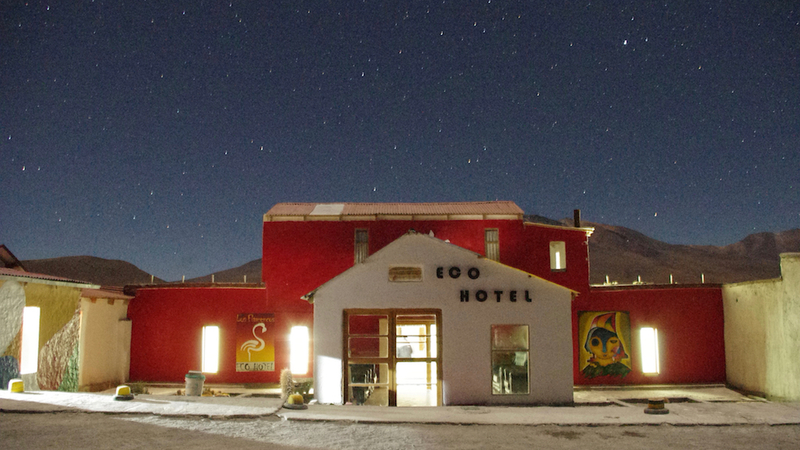 Check into your accommodation at the beautiful and rustic “Tambo Coquesa Ecolodge” to recharge before returning to the salt flats just in time to enjoy a stunning sunset accompanied by a traditional Bolivian welcome cocktail. After sunset cocktails, we will head back to the hotel for a hearty dinner and some rest. Lastly, after sundown we will pick you to start your Uyuni Night Tour where you will enjoy an evening full of spectacular stargazing. Following a hearty breakfast, we depart heading south and reenter the Salt Flats for more views of the dazzling landscape. A stop at the iconic Incahuasi Island, an island filled with giant cacti, will provide wonderful panoramic views of Salar de Uyuni. Next, we will visit the community of San Juan that is home to interesting archeological ruins, followed by a view of the impressive and active Ollague volcano. 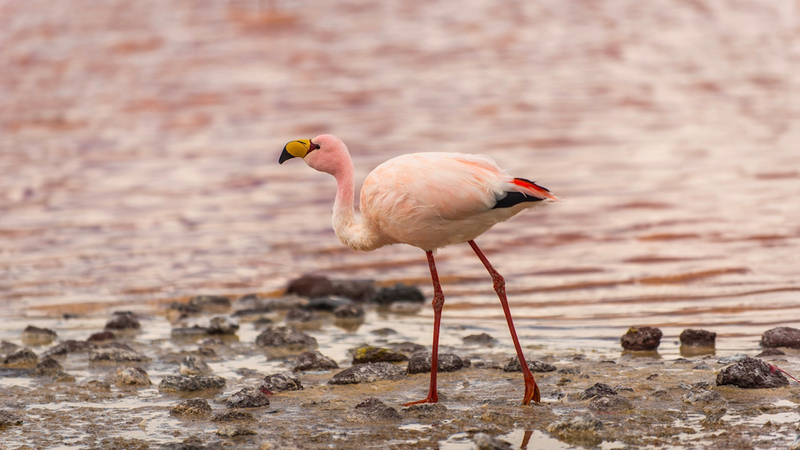 We will stop by Lake Cañapa, a pristine saline lake speckled with vibrant flamingos. Next we will head to your nightly accommodation at the unique Los Flamencos Eco-hotel. The hotel is strategically located just a stones through away from another pristine lake, Lake Hedionda. Enjoy a stroll along the shores of the salt lake where you will observe three varieties of beautiful and graceful flamingos in their natural habitat. 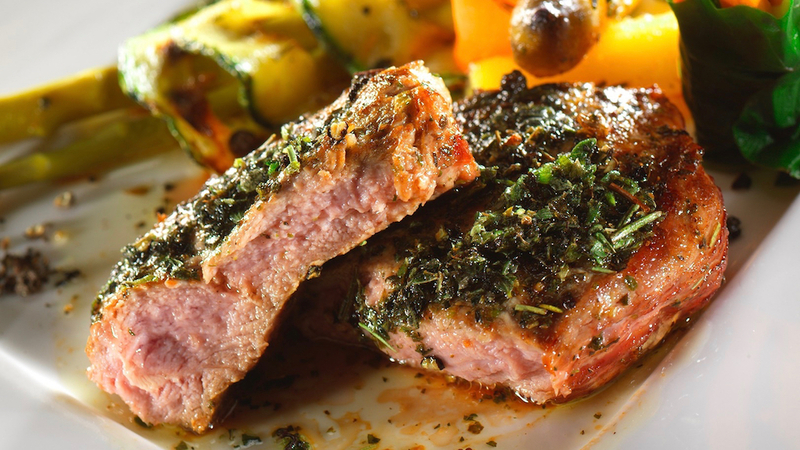 A healthy dinner prepared using traditional Bolivian techniques and organic products will be served at the hotel. 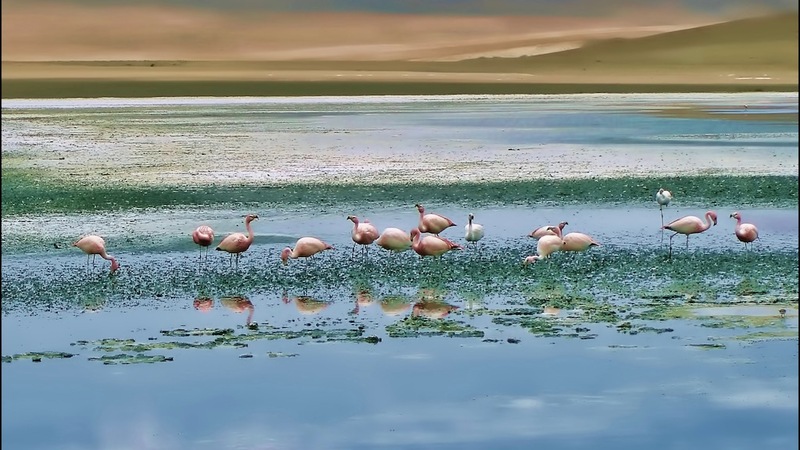 You will enjoy the beauty of flamingos at Laguna Hedionda. 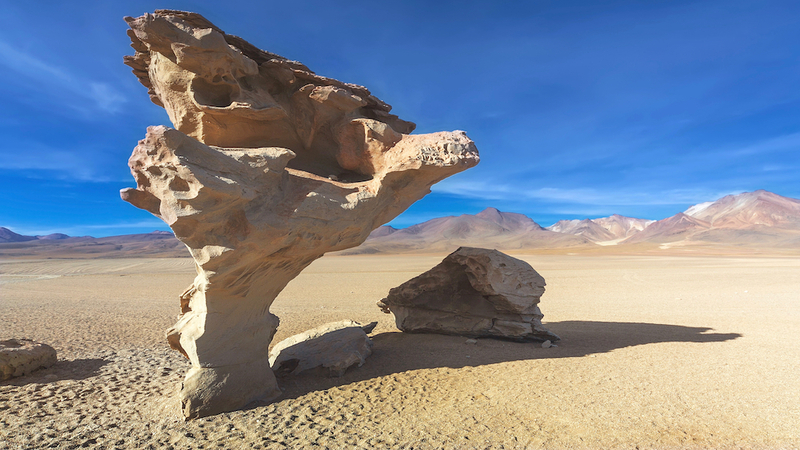 After departing the hotel, we will spend the morning taking in various natural attractions such as wildlife sites, Lake Honda and Lake Charcota, the massive Siloli desert with its impressive rock formations. 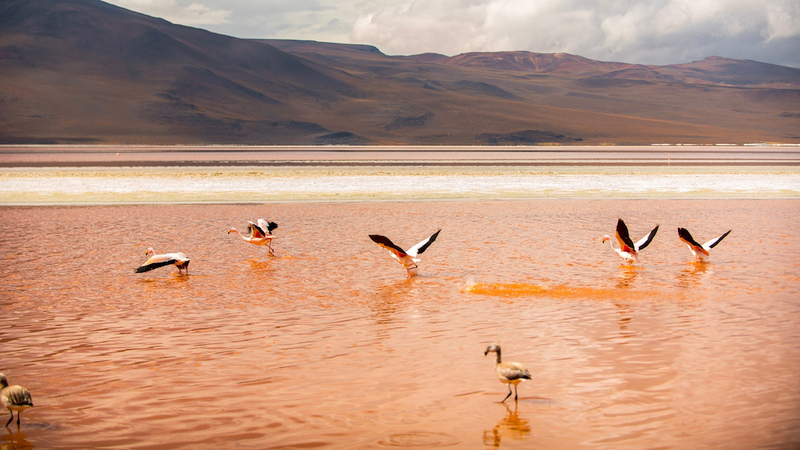 The highlight of the day will be exploring the Eduardo Avaroa Reserve where you will experience the unique and vibrant “Laguna Colorada” whose captivating red waters contrast against the blue sky and pink flamingos to create a dreamlike landscape. 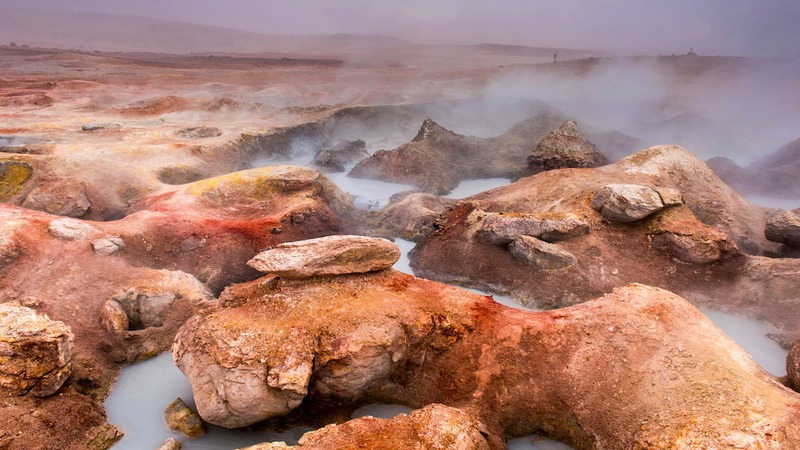 Along the way, you will see bubbling geysers and magical hot springs. On our way back to the town of Uyuni we will visit the valley of rocks and pass through many authentic Bolivian villages, including the iconic mining town of San Cristobal. 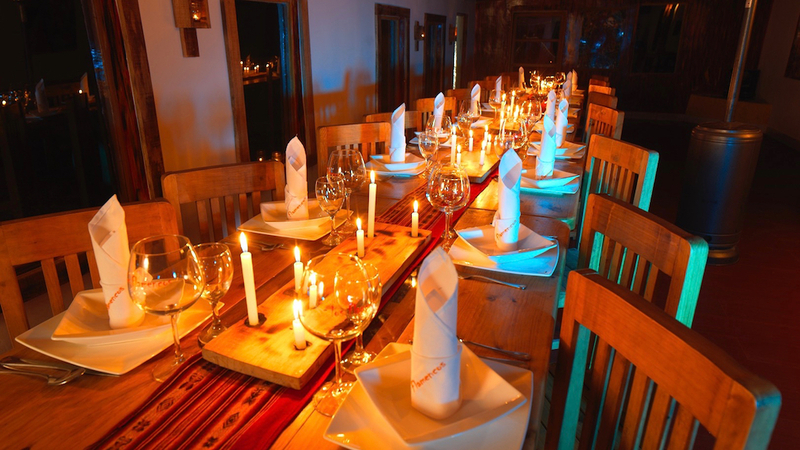 Your once-in-a-lifetime adventure will conclude in the evening when we arrive back to the town of Uyuni. Transport: 4 WD vehicle , air conditioning , heating , reclinable seats , wifi onboard , oxygen bottle, Satellite phone , first aid kit , GPS , reinforced metal gas tank.